Dr. Deborah G. Schult, serves as Assistant Director for the Health Services Division. As Assistant Director she directs three national program areas: Medical, Environmental and Safety Compliance, and Food Service. Within these three main areas, she oversees dental care, mental health care, health care staffing and recruitment, health care delivery, infectious disease management, medical designations, occupational safety, environmental compliance, fire protection, and the proper preparation of nutritional meals. Dr. Deborah G. Schult began her career with the Bureau in 1995 as a staff Psychologist at FCI Fort Dix (NJ). During her 20 years with the Bureau, she held several leadership positions in Psychology Services, including Residential Drug Abuse Program Coordinator. Dr. Schult was the first female Chief Psychologist at a penitentiary, USP Lewisburg (PA), where she served nearly four years before joining Central Office as Clinical Treatment Coordinator. Dr. Schult served as Associate Warden at FMC Devens (MA), Warden at FCI Ray Brook (NY), and Warden at FCI Berlin (NH). In 2013, she was selected as the Senior Deputy Assistant Director for the Health Services Division. Dr. Schult is a 1983 graduate of Boston University. In 1987 she completed her Master of Arts in Counseling Psychology at the University of North Texas and she received her Doctorate in Counseling Psychology in 1994 from the State University of New York at Albany. In 2013, Dr. Schult received the Excellence in Government Award from the Greater Boston Federal Executive Board for her leadership in the successful activation of FCI Berlin (NH). 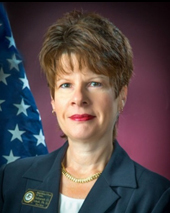 She joined the ranks of the Senior Executive Service in August 2008.